The student walks onto the stage, through the revolving doors of the Thomas Fisher Rare Books Library. In front of her is a grand atrium, made of white marble. There are about fifty floors rising above the atrium, each with a gallery, and with walls lined in brown, leather-bound books, their spines embossed with the gold lettering of their titles. Magic book dust© catches the light and sprinkles continuously to the ground. Each footstep the student takes echoes resonantly. There is a female librarian nearby, behind a counter. She wears pince-nez glasses, capped oxford shoes, and a ladies’ tweed double-breasted two-piece tailor-made suit. Can I help you, miss? Oh, yes please. I’m here to look at old books. Ah, very good. Did you bring white gloves? I’m afraid I didn’t. I don’t have any. Not to worry, you can sign some out here. 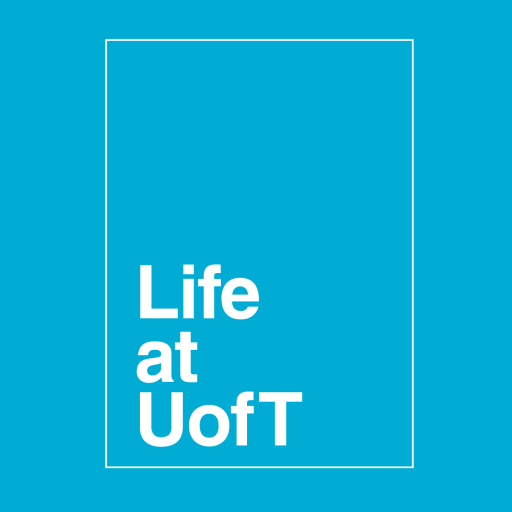 The student walks to the desk, flashes her U of T card, and signs a piece of paper. Over the countertop, the librarian hands her a pair of white gloves. The student walks off-stage and reappears on one of the balconies, wearing the gloves. As she makes her way from one end of the balcony to the other, angelic harp music starts, as if from nowhere. The student carefully pulls a book from off the shelf. The spotlight focuses on her, the rest of the stage gets dark, and the voice of Linnaeus is heard, omnipresent, through the digital sound-system. I wondered when you would come to say hello. I’ve been sitting here years. I can’t believe I’m holding you! I feel smarter already. Melius tarde quam numquam.¹ I feel particularly sanguine today. The student turns a page or two, looking reverently through the Hortus Cliffortianus, printed in Amsterdam, 1737. The scene then fades to black. 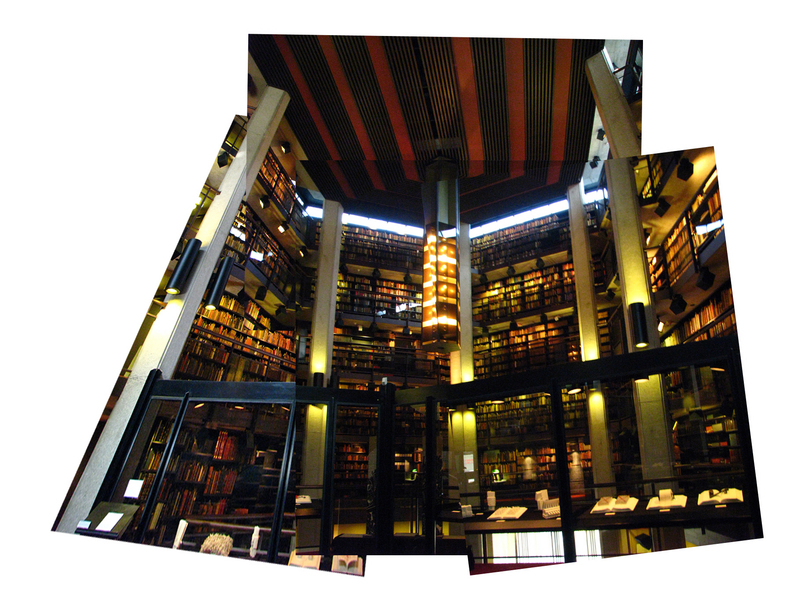 The student walks into the library, through the revolving doors of the Thomas Fisher Rare Books Library. She has never been to the Rare Books Library before, and is sure that someone will stop her before she touches anything printed before 1979. She is an undergraduate, you see, and therefore feels like an impostor. “First edition books,” she thinks, “are for Ph.D. candidates.” She walks two steps and reaches a reception desk. She feels being positive is her best bet for getting in. Hi there! I’m here to see old books! Coat and purse, here’s your vestibule ticket. The elevator is broken, you can take the stairs. Do I go up or down? Go down, around the corner, there you’ll see reception, where they’ll make you a Rare Books Library Card. You can’t go into stacks. Do I need to wear gloves? Gloves… So as not to contamintate the books. Contaminate the books with what? Oh, oops. Haha. To protect the books. Haha. Okay! Downstairs, around the corner. Haha. Ahem. Goodbye. The student walks down the cement stairs. Fluorescent lights line the way. She comes to the reception desk. There is a man sitting behind the counter. When he looks up to greet the student, he gives her a shockingly warm smile for a U of T librarian. He also gives her colourful forms to fill out. Your new card is good for two years. Enjoy! The student walks through one last set of doors into a very quiet room. There are a number of dark oak desks scattered about the room. 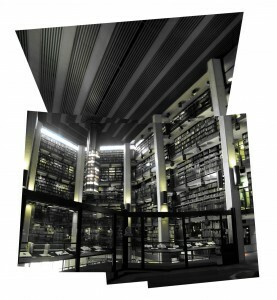 Looking up, the student sees several stories’ worth of walls lined with books, about five floors high. The room has a special smell. This is too much to be true: it’s the old book smell.² A few people are seated at random desks. Behind a counter there is a wonderful-looking man with glasses and a white beard. He is wearing a wool sweater. Hello, good day. I signed out some books online last night? Ah! Have you got the library card that reception just made you? Excellent. One moment, please. He walks over to a small wooden shelf lining the wall behind him and carries back a collossal, behemoth book the size of fifteen textbooks. He has also brought four small taupe volumes. So… Hortus Cliffortianus, by Linnaeus. And Pamela, by Richardson. Hoho. Isn’t Pamela the book in which the maid marries the master because he offers her chocolate but she doesn’t even like chocolate? Hoho. Okay: can you initial these two forms, please? You can take three volumes at a time to any desk. You can’t photograph them unless you sign up to do so on special dates but otherwise, feel free to make yourself at home. 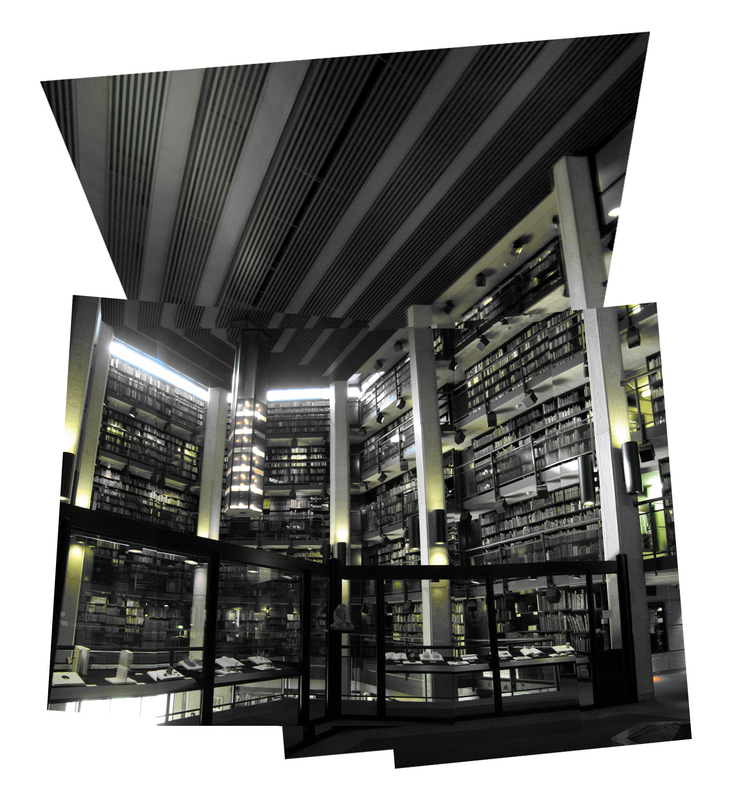 Don’t be scared of the Rare Books Library. After all, I am one of the nicest people you’ll ever meet at U of T.
It’s true! You are so nice! I need to come here more often! The student picks up the books. Linnaeus’ work is very heavy. It is very big. The student walks across the little room to where there is a solitary desk and chair. She puts the books down on the desk. She can’t believe she’s holding an illustrated 1st edition work from 1737. “Either I fooled them with my cool confidence, or this is the best library ever,” the student thinks. She sits down and pulls Linnaeus’ book up close. She opens the front cover and looks around the room. Silence. The student waits… No voice. No Linnaeus speaking from the other side. Only the occasional swish as the page of a yonder book is flipped. The student turns another page. “Hortus Cliffortianus: Plantas exhibens quas in hortistam vivis quam siccis, hartecampi in Hollandia, coluit vir nobilissimus & Generosissimus Georgius Clifford.” Holy smokes! A lot of Latin! Best get out my thinking cells. The scene fades out to black. ² Fariya! I can’t believe it! It’s the old book smell! ³ During our last weekly UpbeaT meeting, Heather brought with her a synopsis of Pamela, written by a friend in an English Lit class. It was short, shocking, and guffaw-inspiring. So in tribute to the salutory works of U of T summaries, I signed the book out online the night before my trip to the Rare Books Library. I’ve got to visit it sometime. I’ve always just thought that it’s just some broken down, dingy-looking place with extremely scratched wooden desks and no windows! And I’d sneeze a lot because I’m allergic to dust and it’s probably a really dusty place. Anyway, misconceptions..hahah.. The angelic harp music link was a very nice touch. Always wondered what was in there… although I am quite disappointed that there are no oompa-loompas. Thanks, Liesl! It was a lot of fun to write. Lucy: we’ll have to have a declension face-off sometime after the UpbeaT meeting! That was fantastic … I loved it all! Haha, so there was an old book smell (as per your footnote)…fabulous! Previous Post A Penny Saved is a Penny Earned?